In the words of its founder, Francis Greenwood Peabody, Harvard’s Plummer Professor of Christian Morals from 1886 to 1913, the Social Museum of Harvard University was established “to promote investigations of modern social conditions and to direct the amelioration of industrial and social life” . The extant collection comprises over forty-ﬁve hundred images made by professional and amateur photographers and such pioneering documentarians as Lewis Hine and Frances Benjamin Johnston, as well as more than ﬁfteen hundred related diagrams, albums, blueprints, plans, booklets, handwritten items, and handcrafted objects. Most of the photographs focus on the services, activities, constituents, and associated buildings of social reform organizations and institutions in the United States and western Europe, but countries such as Japan, New Zealand, and the Philippines are also represented. 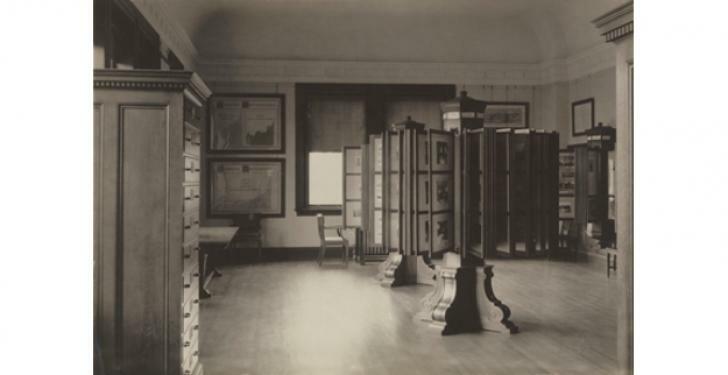 Touted as the ﬁrst attempt in a university to “collect the social experience of the world as material for university teaching” , the Social Museum served during the ﬁrst three decades of the twentieth century as an academic and public tool to promote the study of social conditions and institutions in America and abroad. The museum’s classiﬁcation and didactic presentation of materials also aligned with other social betterment projects of the time, reﬂecting an increasing systematization of display techniques by the reform movement. This website provides a searchable database that makes available images and text information relating to the more than six thousand Progressive-Era photographs and graphic illustrations that survive from the Social Museum of Harvard University. It also provides a short essay contextualizing the photographs in the collection; information on a related exhibition, symposium, and publication, and a selected bibliography; and descriptive summaries, accompanied by slide shows of related images, of some of the major social reform subjects and institutions represented in the collection. In the early 1960s, the Carpenter Center for the Visual Arts assumed stewardship of the Social Museum Collection. It was transferred to the Harvard Art Museums in 2002. 1. Francis G. Peabody, The Social Museum as an Instrument of University Teaching. Publications of the Department of Social Ethics in Harvard University, no. 4 (Cambridge, MA: Harvard University, 1911), 2. August R. Ohman & Co.